An update to Google Fit began rolling out to both phones and Android Wear this week. In terms of changes, watches took the lead on this release with a short list of fairly significant additions, including audio alerts during runs, updates to the workout mode, a new screen for workout history, and even automatic heart rate tracking for some recent models. While phones weren't left out entirely, the only notable addition is a new app shortcut for handsets running Nougat and above. I had my eyes on Amiigo the moment it was mentioned here on Android Police back in January 2013. The promised features seemed like everything I wanted in an all-day sleep and activity tracker, especially with its waterproof design and swimming capability. 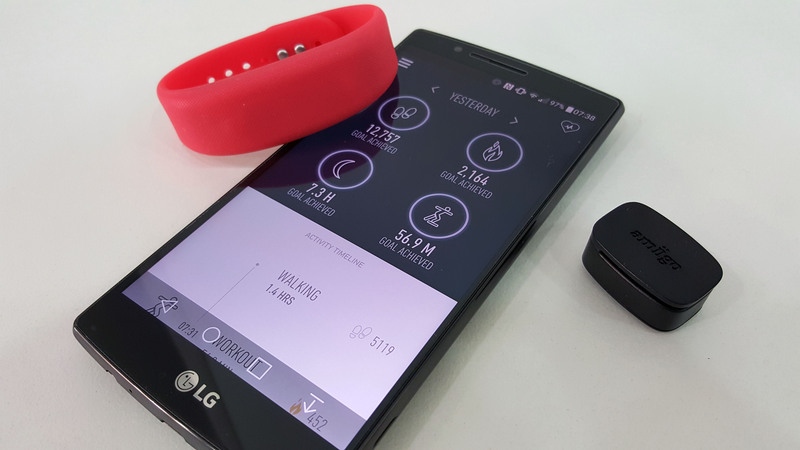 See, runners and cyclists have it easy: there are dozens if not hundreds of gadgets they have been able to use for the past years to track their workouts. But swimmers, well, let's just say the choice has always been limited and it was even more so in 2013 when you wanted a smart tracker that synced with Android.